Rays Power Infra’s O&M services portfolio includes professional financial and physical asset management solutions, revenue assurance, ongoing maintenance and repairs, and complete operational solutions for PV assets across India. Rays Power Infra’s O&M services are designed to maximize the lifetime value of your solar power plant assets. Leveraging its solar industry experience and 620+ MW installed capacity, it proactively monitors and manages solar plants to minimize downtime and increase site availability, resulting in maximum energy production, revenues, and profitability. Rays Power Infra has an experienced Operations & Maintenance division, which takes preventive and corrective maintenance services for solar power plants. The team operates and maintains solar power plants, offers monthly reports on generation and activities. It also provides project commissioning expertise along with developing a mechanism to retrieve and manage generation data. The O&M team has an experience of over 250 MW of projects. Rays is confident of its ability to keep a solar power plant operating at the top performance that it has the ability to back it up with a performance guarantee. 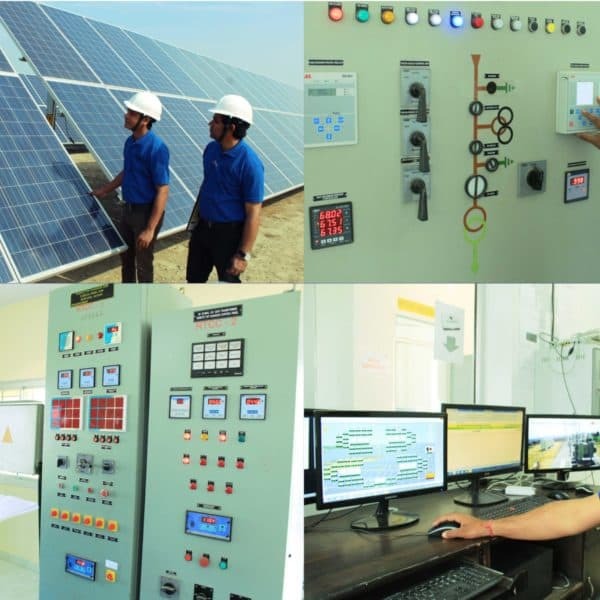 When you hire Rays Power Infra’s O&M services, you are getting an experienced team that is backed by one of the most reputable and bankable solar company in India.